The difference between winning and losing a game often comes down to a vital kick. 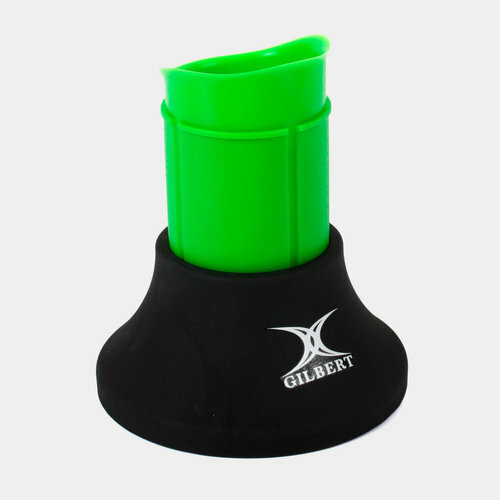 Created to perform, the Gilbert Extendable Kicking Tee is here to help your kicking game. With a variable height, adjusting up to 5cm, whether kicking from distance or needing accuracy form the side lines, your kicking game can reach all new heights. A plain black base sees the adjustable section take on a green look to help stand out on the rugby field.